LEXINGTON, MA, UNITED STATES, July 12, 2018 /EINPresswire.com/ -- It's a fact of life that we all experience ups and downs throughout our lifetimes. The stress of these "life ripples" can lead people to struggle to deal with the effects. Good thing there is Robert Wellington’s book, "Time Ripples, A Gift of Love", a compilation of poetry, prose, and essays that address many of the issues and circumstances people encounter during daily journeys. Tremendously, this book converts people's perspective about life and the author willingly hands his readers some reflections that are truly meaningful and thought provoking. Every page presents a striking insight and perspective on life in today's crazy world. It is like a new-found friend ready to gently give perspective, and deep insight into everyday life. The author believes each journey is to be enjoyed and helps his readers view challenges from a higher perspective, through a lens of clearer and loftier focus. 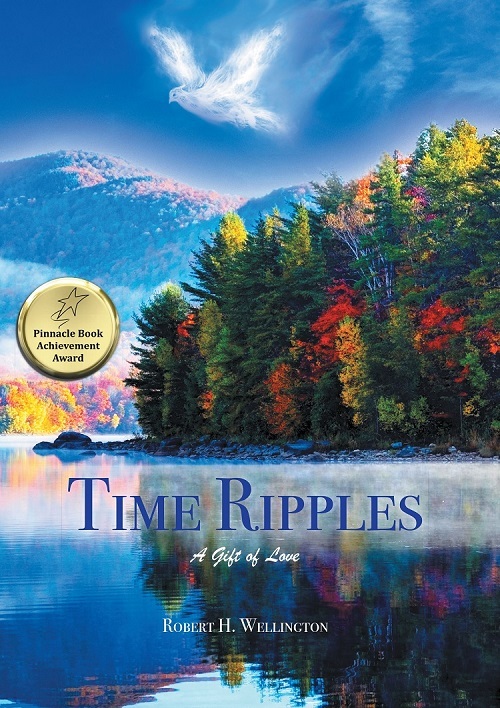 Time Ripples is comprised of thoughts and inspirations which occurred to the author during meditation and prayer over many years. We all have access to these ideas. We have to quit the noisy confusion of our minds through patient meditation and ultimately, contemplation. The poems and essays contain inspirational thoughts that will help you take charge of your life.